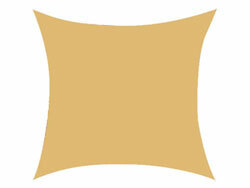 Premium Spandex Shapes / Sails 24"x24"
Premium Spandex Shapes / Sails 48"x48"
Premium Spandex Shapes / Sails 60"x60"
Premium Spandex Shapes / Sails 96"x96"
Spandex Sails represent the changing trends in grand decorations, especially at high-octane parties and weddings. These event drapes provides the maximum room for creativity for party planners, helping them dress-up the event in a unique manner. These sails help in creating stunning shapes and stages for special events, ranging from receptions and DJ Setups to restaurants, nightclubs, and hotels. Spandex shapes are a must-have for every event decorator who wants more than the staple options among screen sails and stage drapes. When combined with illuminating panels and stage lighting, Spandex Sails add more glamor to any event. These stretch sails can be used to add more layers to any display or stage production setups. RazaTrade brings an exotic range of Spandex Shapes Sails that can be used to create picturesque shapes as a part of bigger decorative arrangements. Exclusively designed from stretchable spandex fabric, these sails help wedding planners, event organizers, hotel managers and venue decorators to upgrade the aesthetics of any setting. Spandex Sails from RazaTrade are available in variety of colors so that you can set attractive event themes. These sails are easy to set-up and are built to last. Trust these party sails for elaborate stage sets, boosting your event past the usual choice of pipes and drapes. Easy to work with, including effortless custom printing, stretchable sails have started making their presence felt at tradeshows, conventions, community gatherings, industry showcase events, and guest hosting pavilions. Why buy Spandex Sails from RazaTrade?